Spacious four bedroom detached home situated in the rural location of Hernhill. 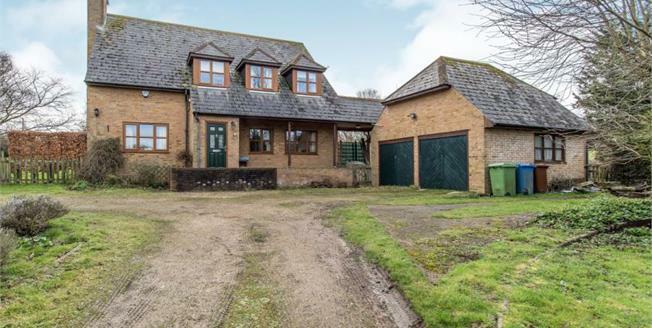 This family home is set within a generous plot of 1.6 acres (STV) with beautiful views of the kent countryside. The downstairs accommodation provides ample living space. You enter the house into a spacious hallway. Leading off from here is the well proportioned lounge with patio doors out to the beautiful garden. There is also a formal dining room and separate study. To the rear of the property is the kitchen with superb views over the garden. Leading off from the kitchen is the utility area with access to the garden. There is also the added benefit of a downstairs cloakroom. Upstairs the three double bedrooms and one single bedroom all have spectacular views of the rural landscape. There is also a family bathroom and en-suite to the master bedroom. Outside there is a double garage and parking for several cars. The sought-after village of Hernhill is within easy access to the market town of Faversham and Canterbury city centre. The village offers a highly regarded primary school and several pubs. Whilst set amongst beautiful countryside you are still within easy reach of good motorway links and high speed train services.